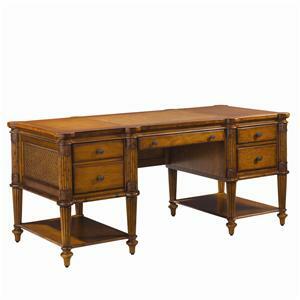 This lovely junior executive desk will add stunning elegance to your office space. It is made out of select solids with ash and ash burl veneers in a magnificent urban ash burl finish. 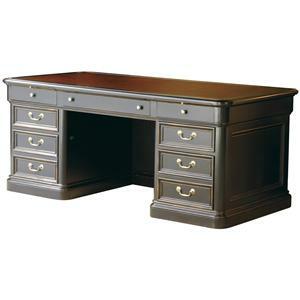 Features of this piece include a brown blind-tooled leather top, a wrist rest, a pull-out writing surface on the visitor's side, a flipworks all-media storage system that accommodates audio, video, gaming and computer media formats, and strategically located cut outs that provide neat and orderly routing of cords and connections. A center drop front includes a pull out panel for your keyboard. There is plenty of storage space on the right and left pedestal with drawers that feature full-extension drawer slides. 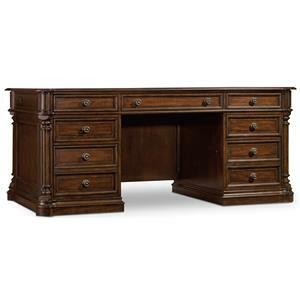 Stylish and extremely functional, this junior desk will be a magnificent addition to your home office. 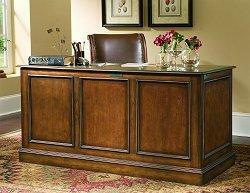 The Urban Ash Burl Traditional Junior Executive Desk by Hekman at Stuckey Furniture in the Mt. Pleasant and Stuckey, South Carolina area. Product availability may vary. Contact us for the most current availability on this product. 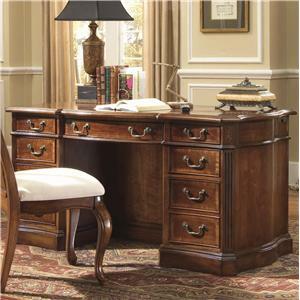 Traditionally appealing and elegant, the Urban Ash Burl collection will be a wonderful addition to your home office. 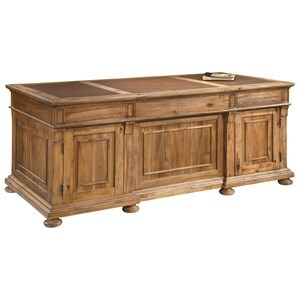 Featuring a lovely urban ash burl finish, the beautiful natural look of this collection will richly enhance any décor. 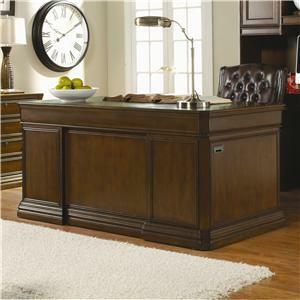 The desk offers plenty of storage space and the matching file cabinet is great for letter and legal files. Functional and stunning, the Urban Ash Burl collection will provide a magnificent look for your home. 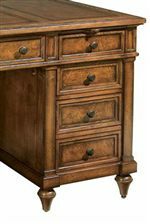 The Urban Ash Burl collection is a great option if you are looking for Traditional furniture in the Mt. Pleasant and Stuckey, South Carolina area. 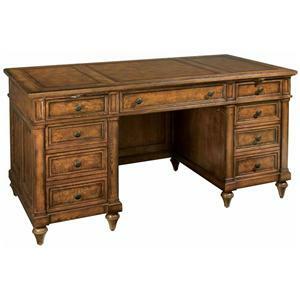 Browse other items in the Urban Ash Burl collection from Stuckey Furniture in the Mt. Pleasant and Stuckey, South Carolina area.